Getting paid for your opinions is easy! Since 1984, L&E Research has been connecting people like you with businesses that want to understand what you think about their products, services and ideas through market research studies. You give your opinions and L&E Research pays you for your time. We will never attempt to sell you anything and we will always keep any information you provide us secure and confidential. Businesses want to hear from ALL kinds of people. So if youthen we have a study for you! Ready to start getting paid for your time and opinions? Click the Sign Up button below to get started and become a member with L&E Research. 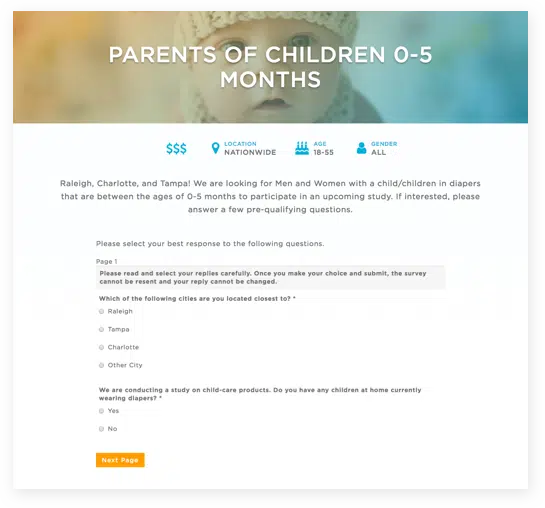 Once you’ve created your account, find a study you’re interested in, and fill a few pre-qualifying questions. L&E Research offers several ways for you to give your opinion. Feedback for a product, service or medical condition is very important to our clients, there will always be an incentive associated with your participation in one of our studies. Dependent on the client’s needs, amount of time the study takes to execute and content, the compensation varies from project to project along with the pay type. The compensation is either cash, check or pre-paid Visa card! Sign up today and get paid for your time and valued opinions! But wait…there’s more! Know someone else who would also like to earn some extra cash by participating in paid market research studies? Refer them to us and you can earn even more! You must be a member to refer someone, so join today!